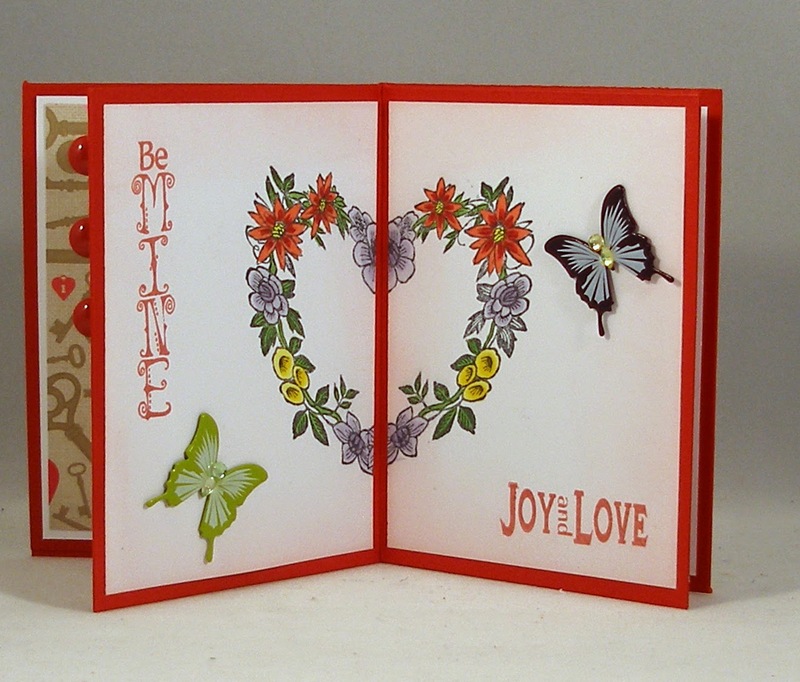 Sabrina had a technique challenge for the CCEE Stampers this week -- Inlaid Die Cuts. 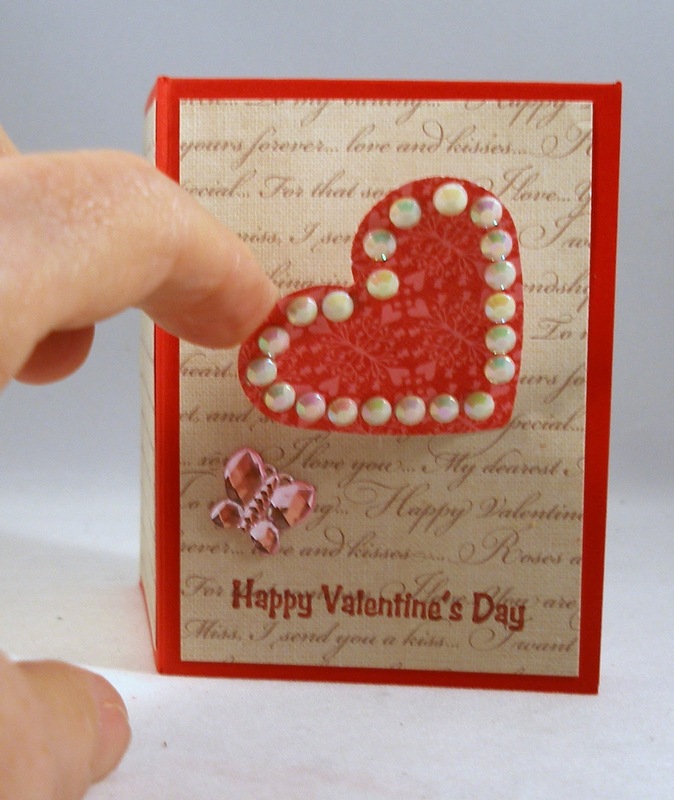 There is a tutorial for this technique over on Splitcoaststampers. Here's the link. I really liked the variation of the original instructions, so I used the same butterfly die and cut it out several times. I used three different pieces of patterned paper from the same MME pad. Give this fun technique a try. 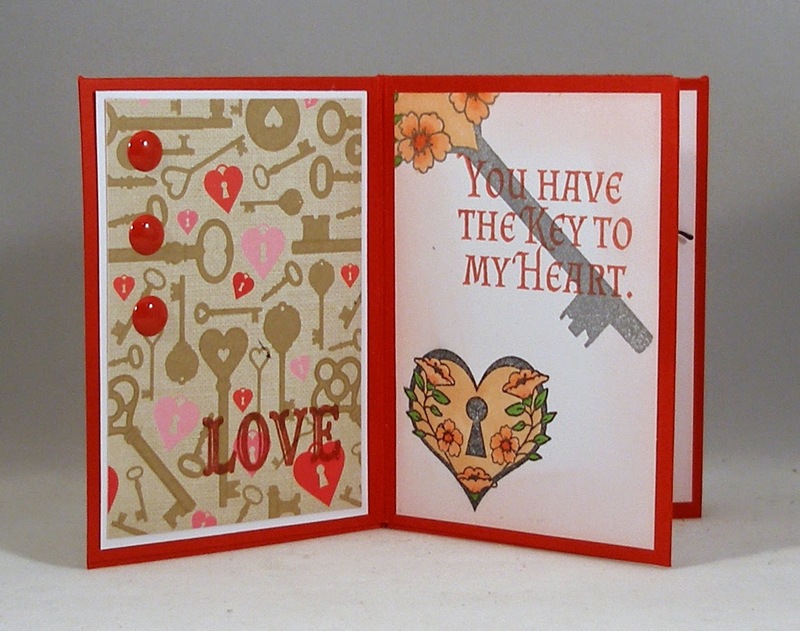 Then go over to the CCEE Stampers blog and see what the rest of the team did. Sabrina mentioned that the month of February sometimes does not include a Full Moon. The last time this happened was in 1999. She asked the CCEE Stampers to make a card featuring the moon. I decided to have a little fun with this challenge and stamped my moon on shrinkable plastic and make a charm out of it. Flip cards are really fun. Here's the inside. 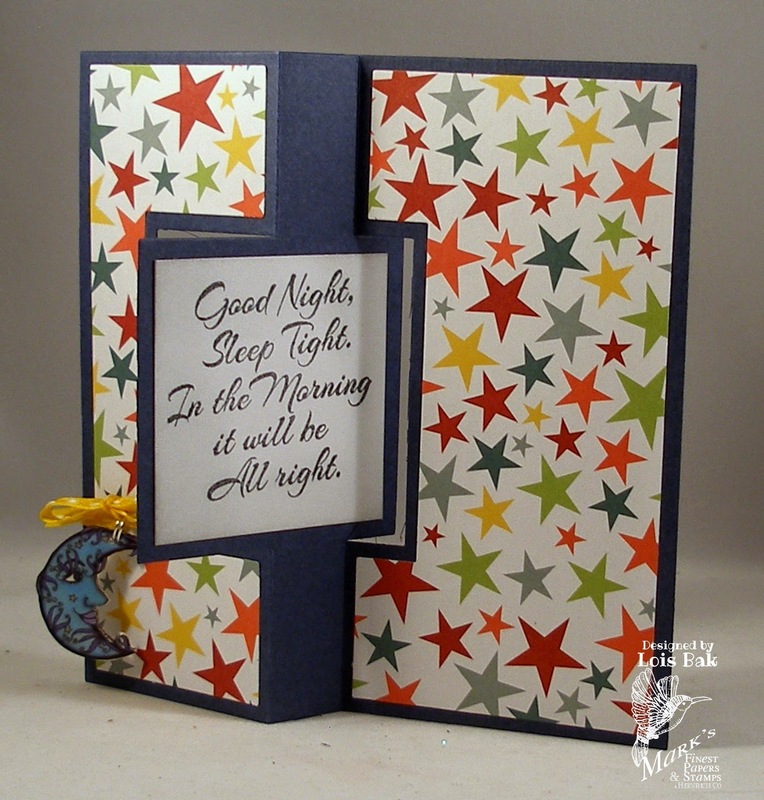 Stop over at the CCEE Stampers blog and see how the rest of the team handled the moon. Sabrina gave the CCEE Stampers a little language lesson today. The Finnish word for February is "helmiku," which means "month of the pearl." 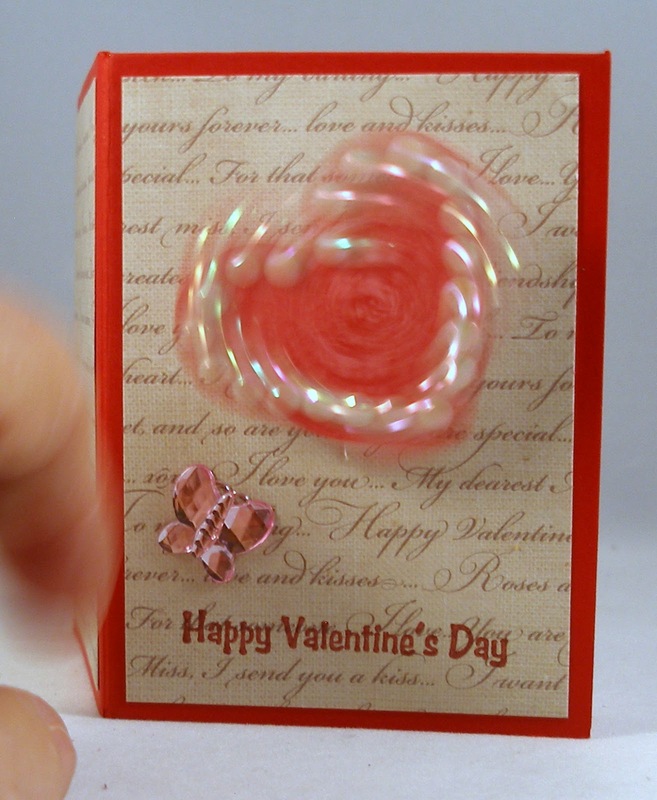 So she asked us to use pearls on our cards -- the easy way (with pearls or Liquid Pearls) or a more adventurous way using a pearl technique of some sort. I have to confess I took the easy way out. I used Liquid Pearls. You can see them on the dragonflies' heads. Visit our blog to see how adventurous the rest of the CCEE Stampers were. 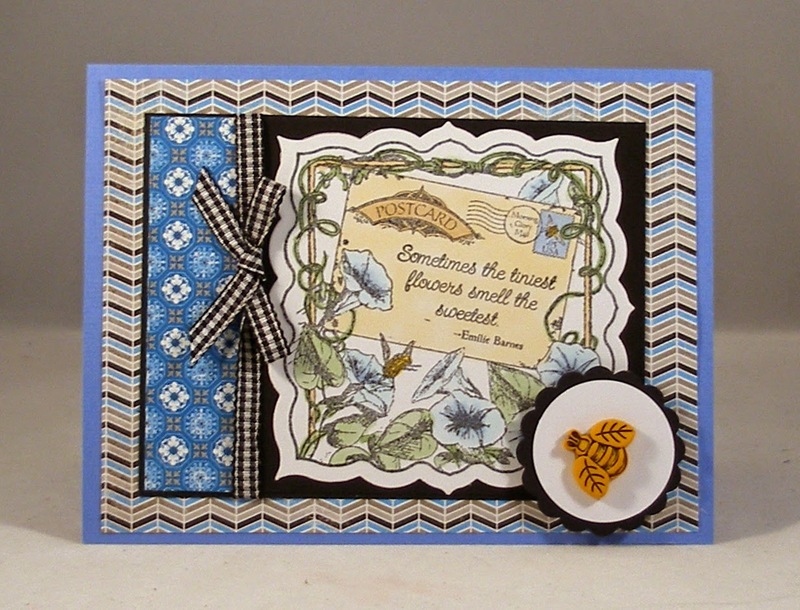 Our Daily Bread Designs Blog posted a new sketch challenge today. I recently bought some pretty sets from ODBD and decided to use one of them for this challenge. I took a little artistic license with my card -- rotated the sketch and used a die that's a bit bigger than the element in the sketch. Hopefully, that won't be held against me. 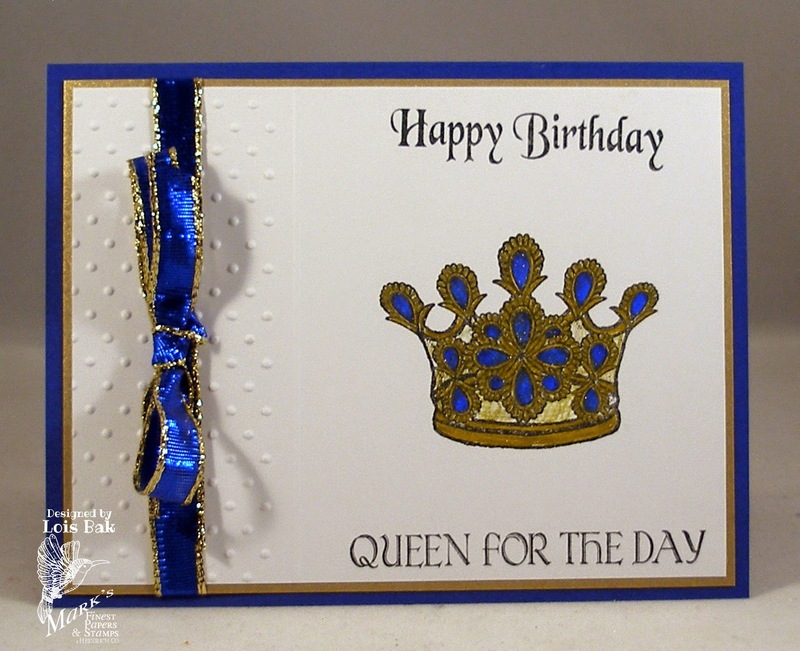 Sabrina is the CCEE Stampers hostess for February, and to celebrate Queen Elizabeth's ascension to the throne (on February 6, 1952) she asked us to make a card featuring crowns or "royal" images. I don't have too many of those, but I did find a crown. 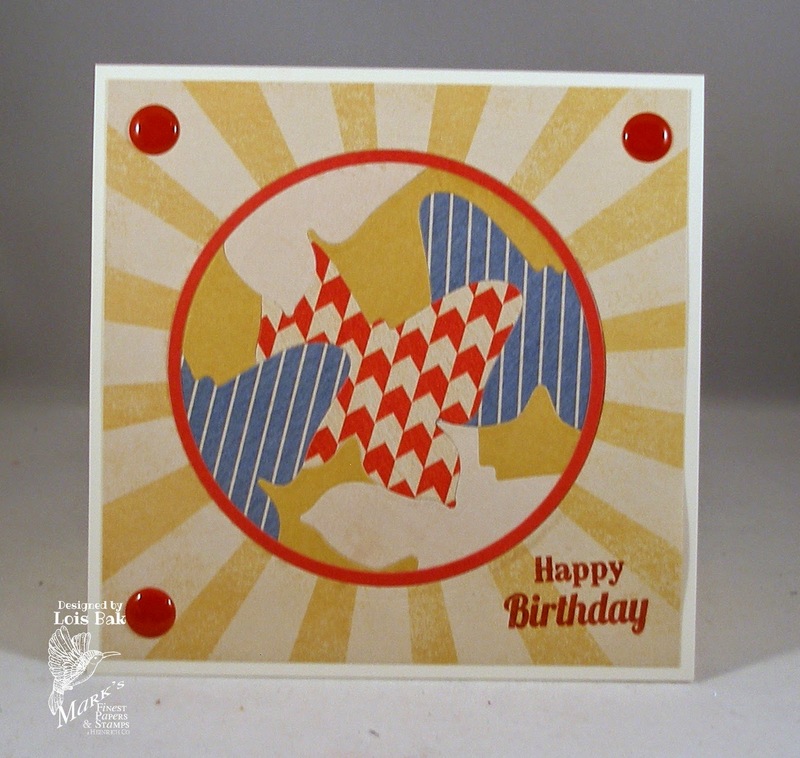 Stop over at the CCEE Stampers blog to see what royal creations the rest of the team has for you. I am so excited. 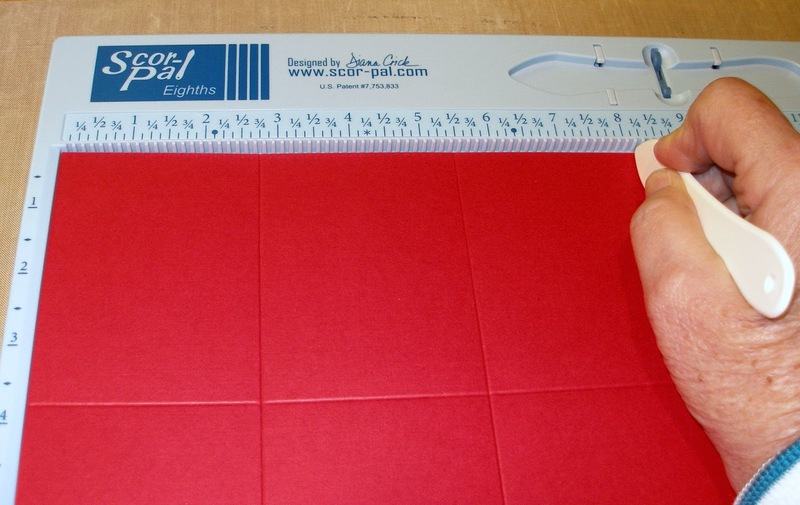 Today is my first day as a member of the Scor-Pal Blog Team. 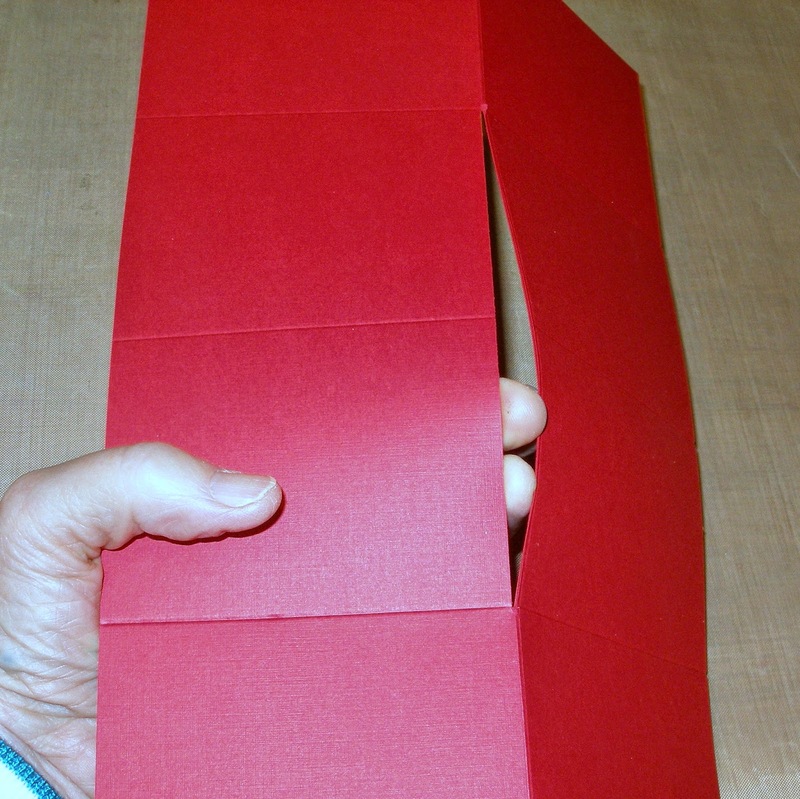 Fun folds have always been one of my favorites, and my Scor-Pal sure comes in handy when making one of these projects. 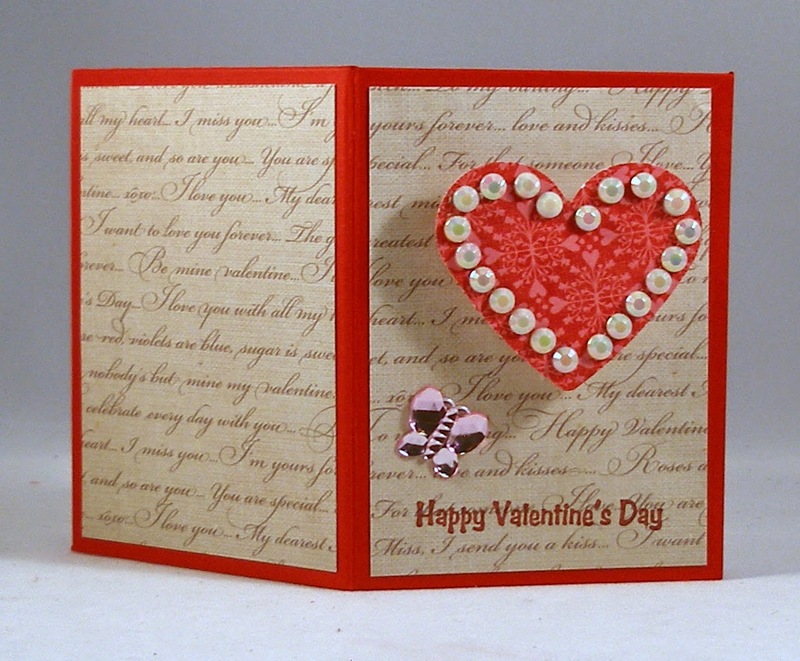 When I heard the theme of this month's More Than One Score at Scor-Pal challenge, Hearts a Flutter, I immediately thought of Valentine's Day. Then the word "flutter" reminded me of butterflies. 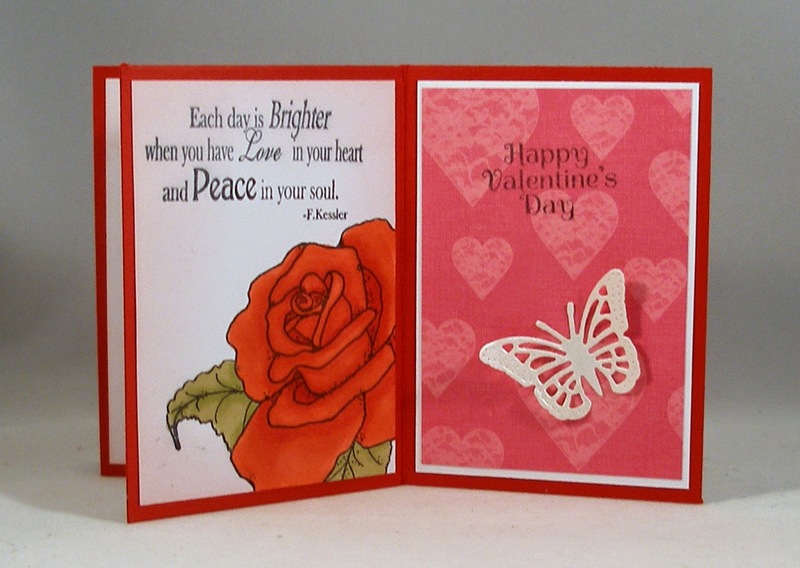 . . so my project combines Valentine's Day and Butterflies. 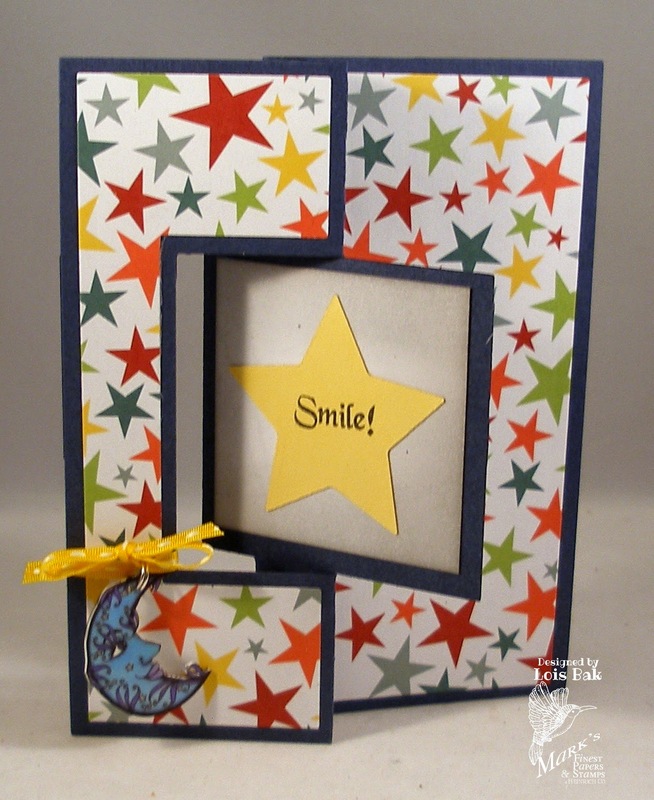 Several weeks ago Splitcoaststampers featured a tutorial on how to make a One Sheet ATC Book, which I thought was so cute. That's what I have for you today. Here is how I made this project. 7 1/2" x 11". 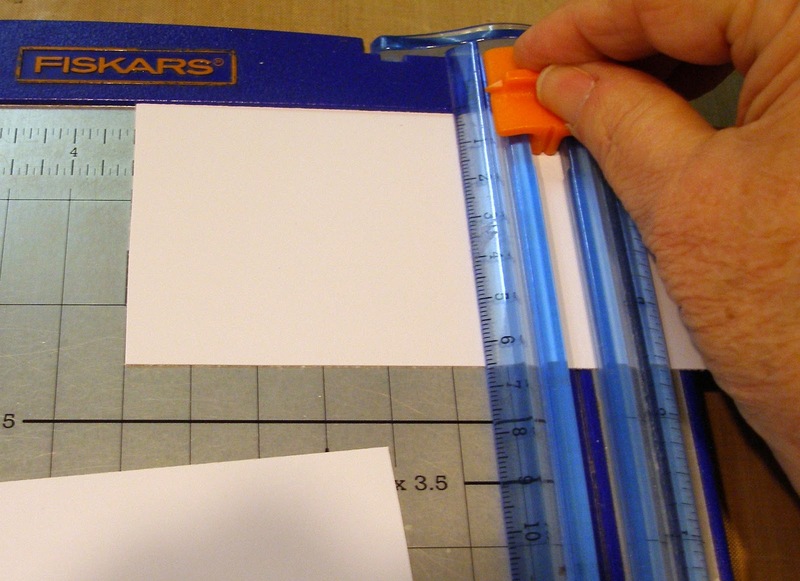 Place the short side of the cardstock at the top and score down the center at 3 3/4". 2 3/4", 5 1/2", and 8 1/4". Cut a slit in the center (along the score line) from the first score line to the third score line. 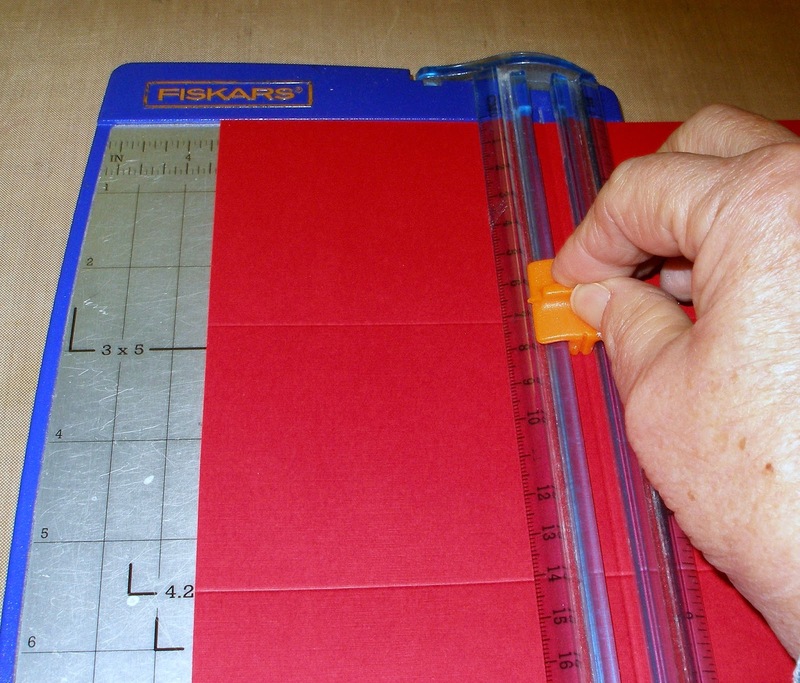 Then fold at each score line to break up the fibers. 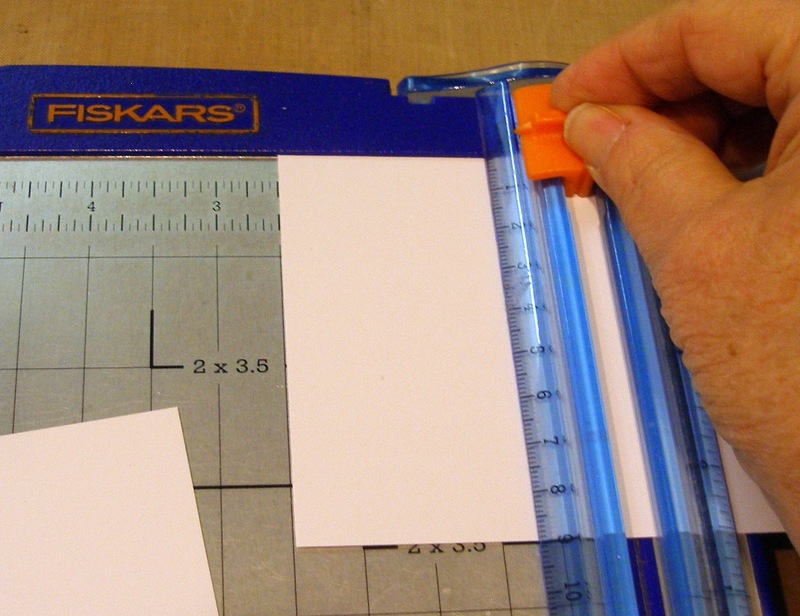 This will make constructing your book much easier. 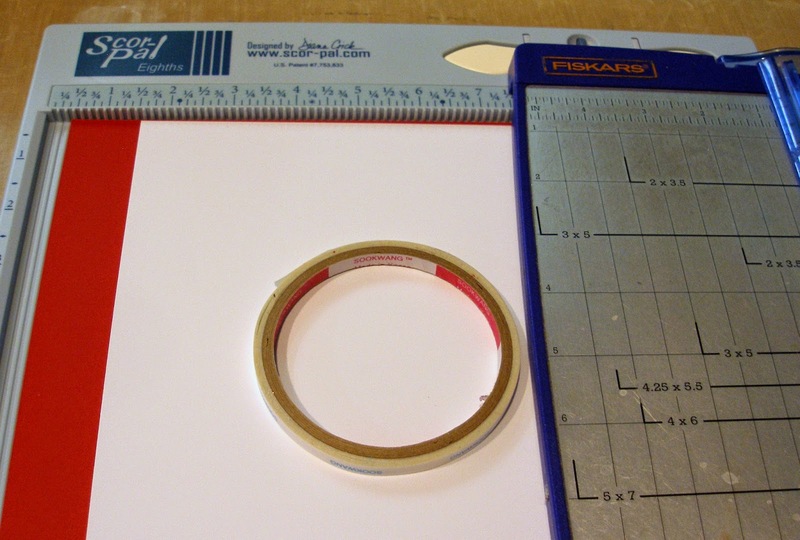 Apply Scor-tape as shown in this photo. 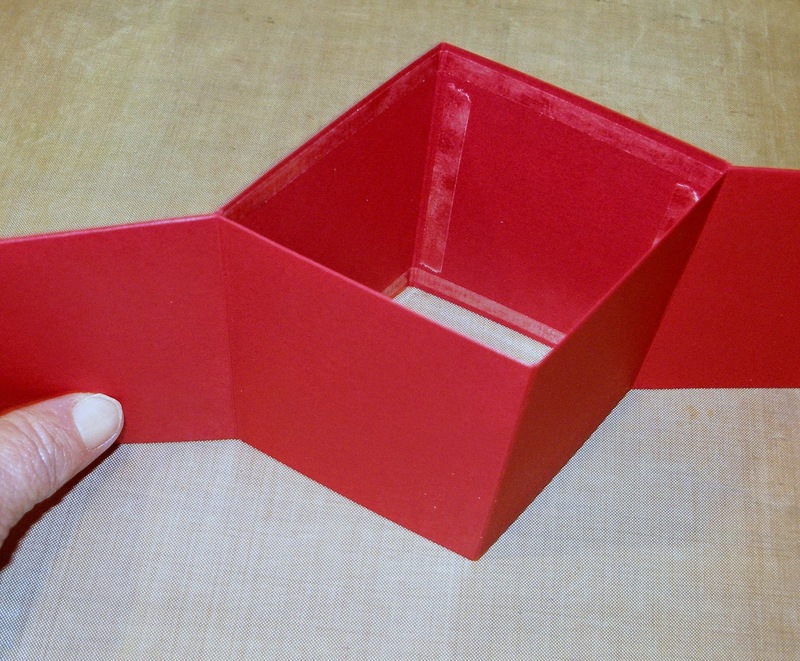 Remove protective paper and fold the sides together at the ends as shown, being careful not to attach the center sections. 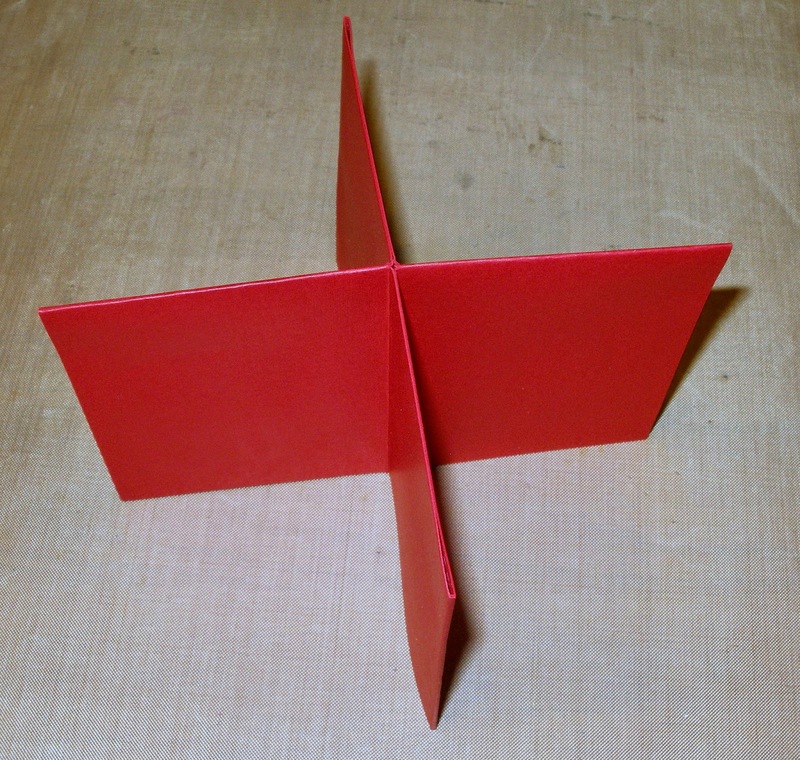 When the end panels are connected, push the center pieces together in the other direction to form an X. 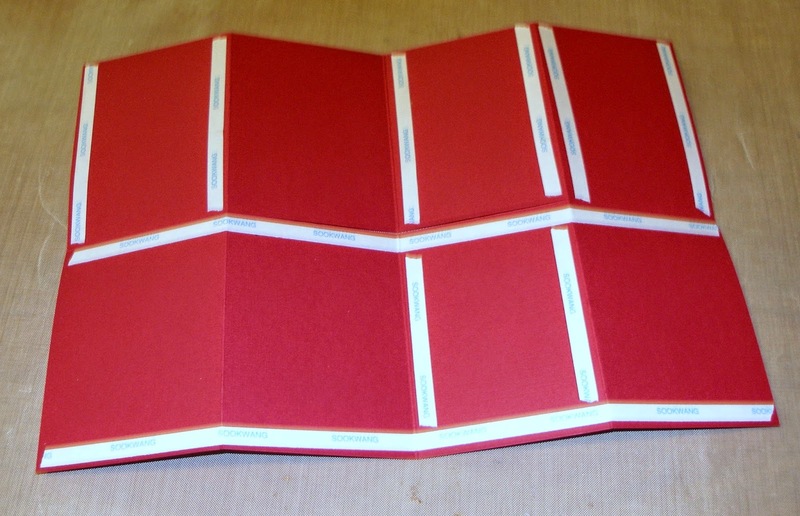 This is what your book will look like at this point. 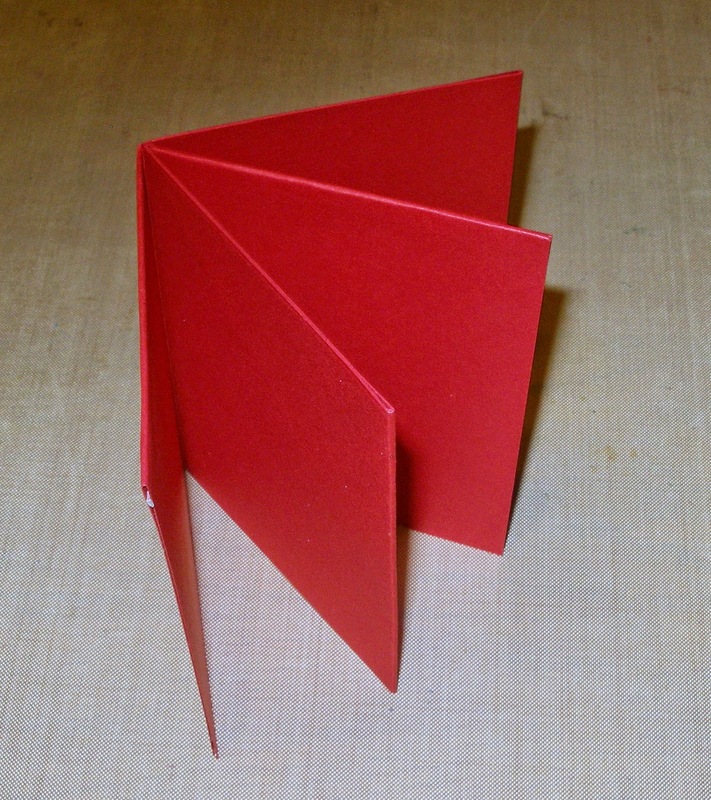 Gently fold the pages to form your book. 2 1/2" x 11". Cut into 3 1/2" sections. 2 1/2" by 3 1/2". You will need only 8 of them. Create your book as desired. 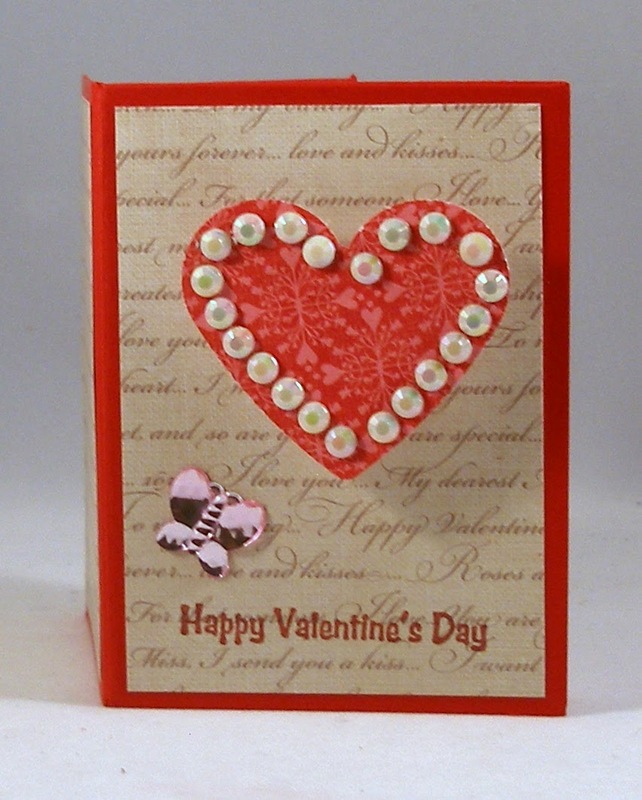 I stamped the sentiment and added a heart (with some iridescent gems) and butterfly. Do you see how that heart looks popped-up? Actually, it's on a wobble spring. I had bought some of them at a stamp show, and they are so fun! There are six pages inside the book, and I filled them with lots of hearts and butterflies -- some stamped, some DP, some dies, and some brads. 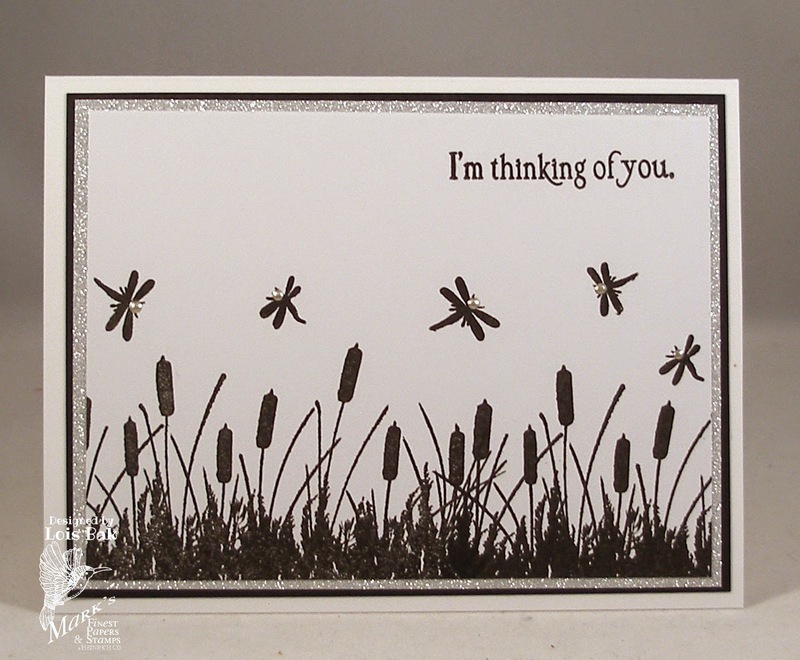 Now it's your turn to create something that will make your heart flutter. 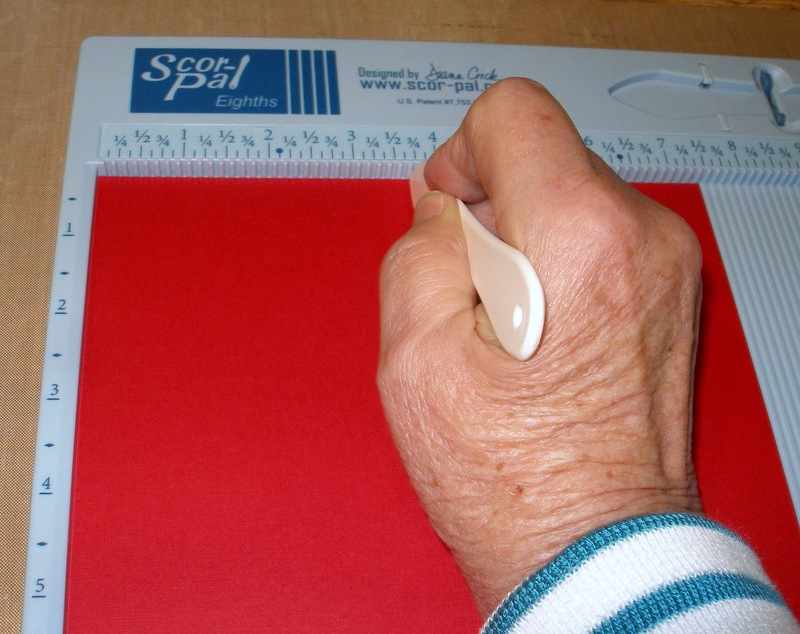 Be sure to use more than one score and upload your card to the Scor-Pal blog.